And guess who’s teaching him? This puppy learns treats smarts so that the training rewards keep flowing. So, who’s giving this valuable advice? Mom, or Dad, or someone else in the home? Well, that someone is not who you might think. It’s definitely not a human. After all, the whole idea is to outsmart the most intelligent beings on this planet. 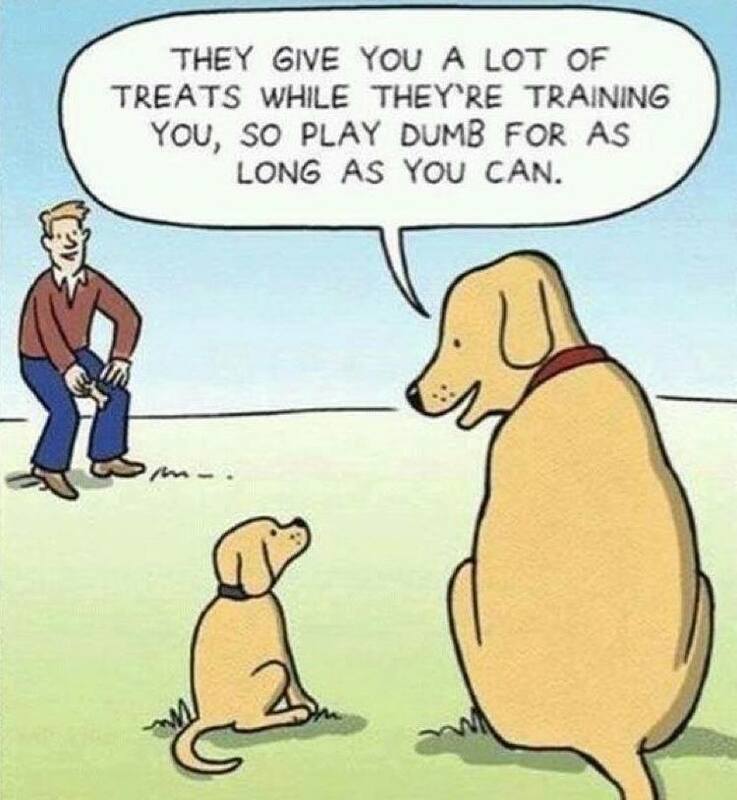 The ones who spend all this $$$ on rewards so their puppies get a really good education. Lesson to be learned — don’t ever underestimate doggy smarts. It’s in their DNA! Puppy learns treats smarts, but not from us!